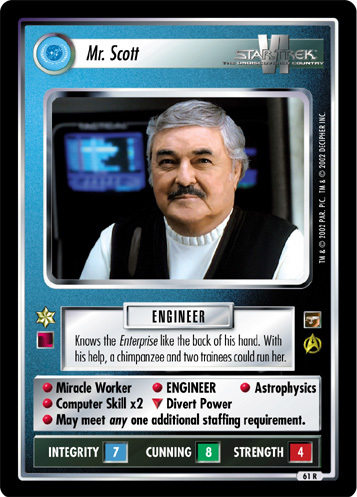 Chief engineer of the starship Enterprise. Nicknamed "Scotty." Big enough to take a few insults. 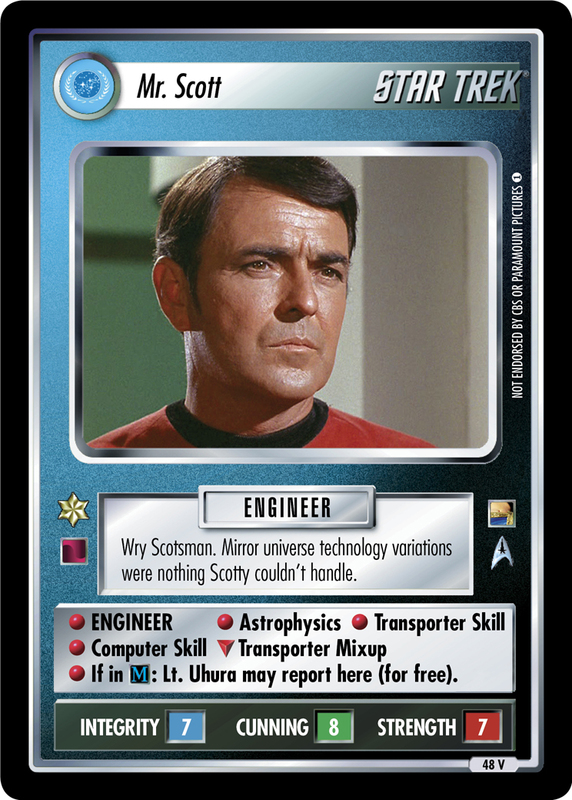 • ENGINEER • Leadership • Astrophysics • Transporter Skill ∇ Classic Type II Phaser • If on a Constitution-class ship, it is attributes all +2.